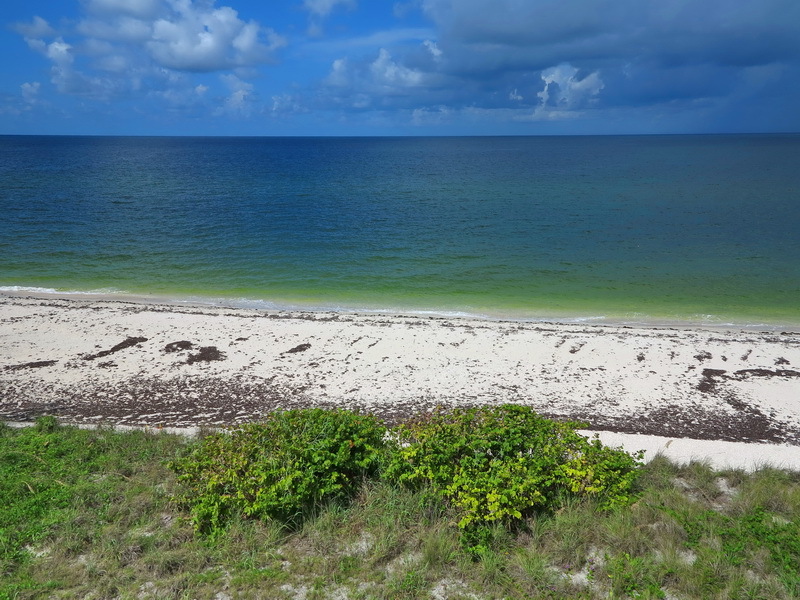 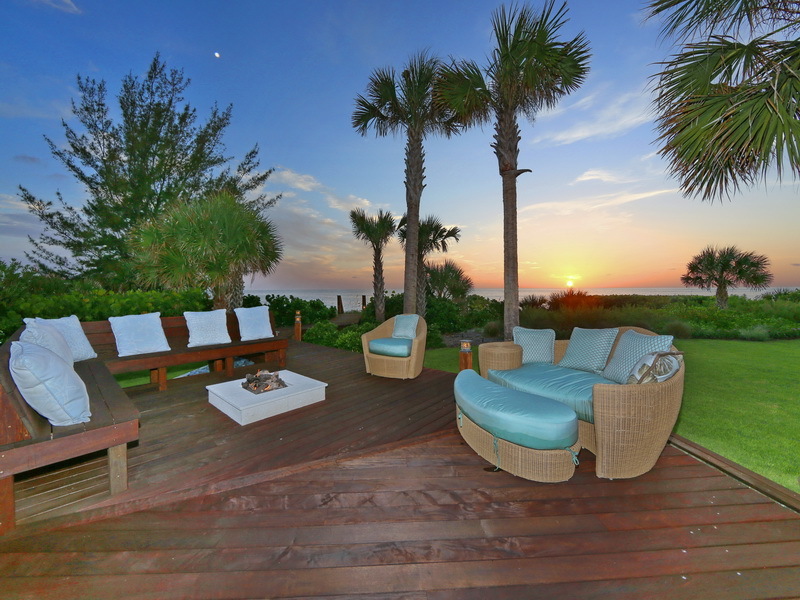 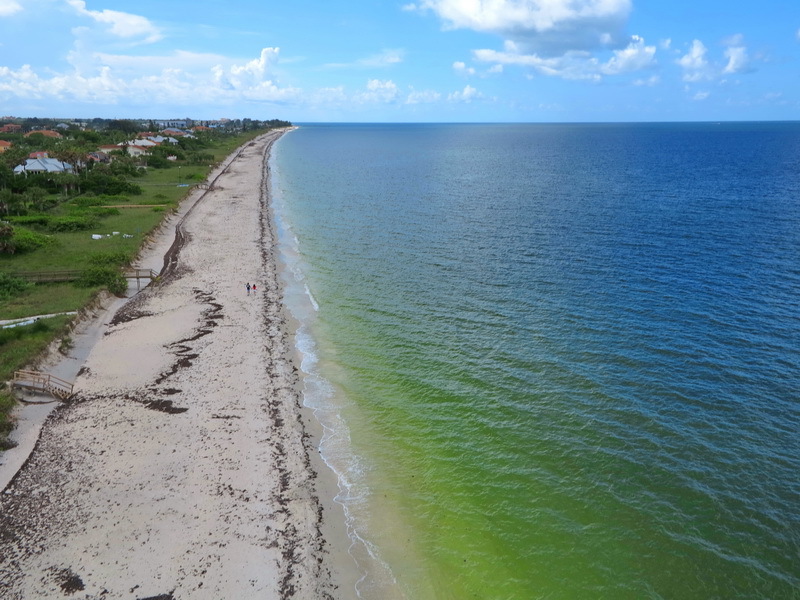 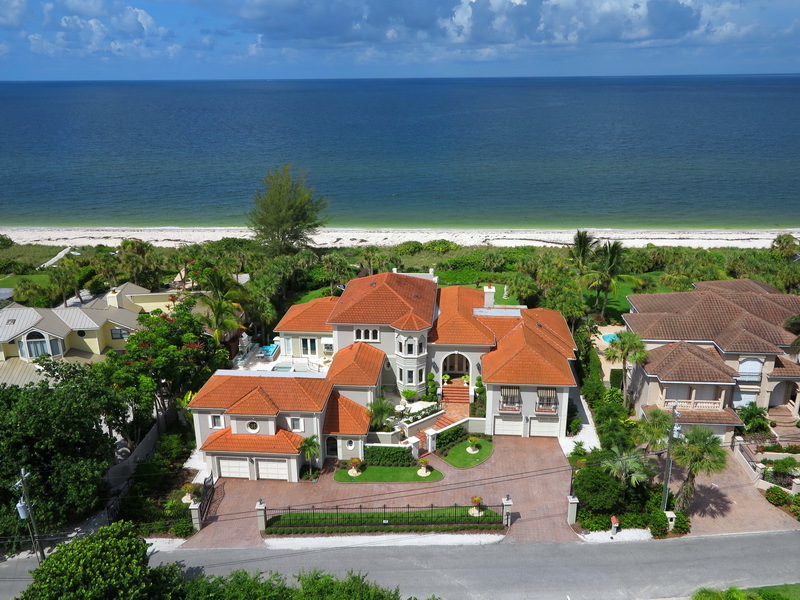 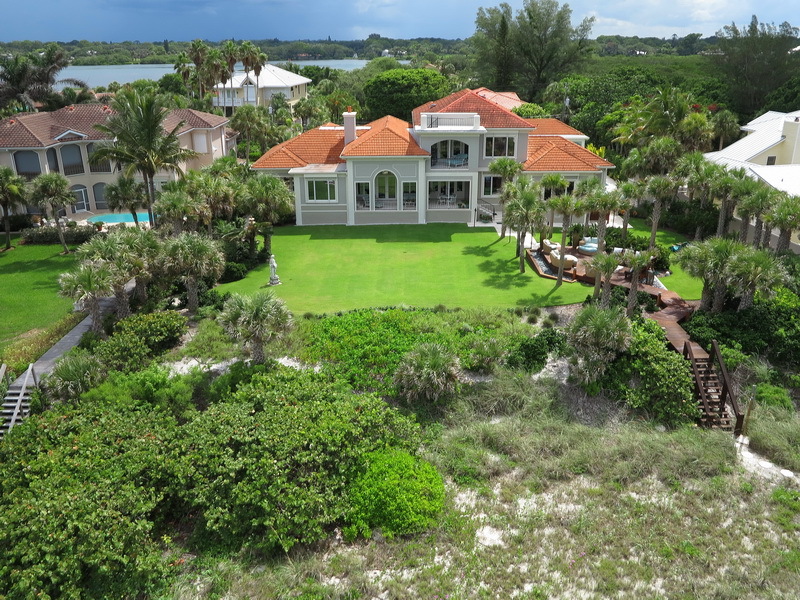 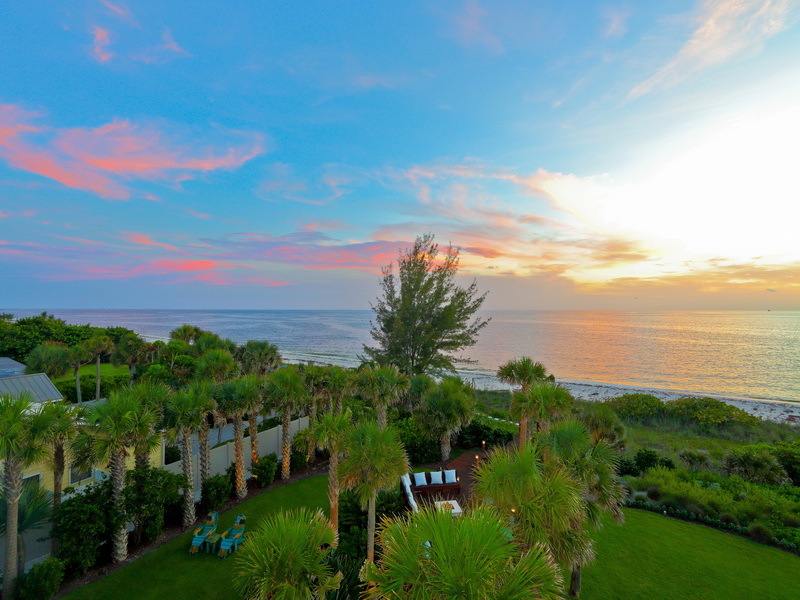 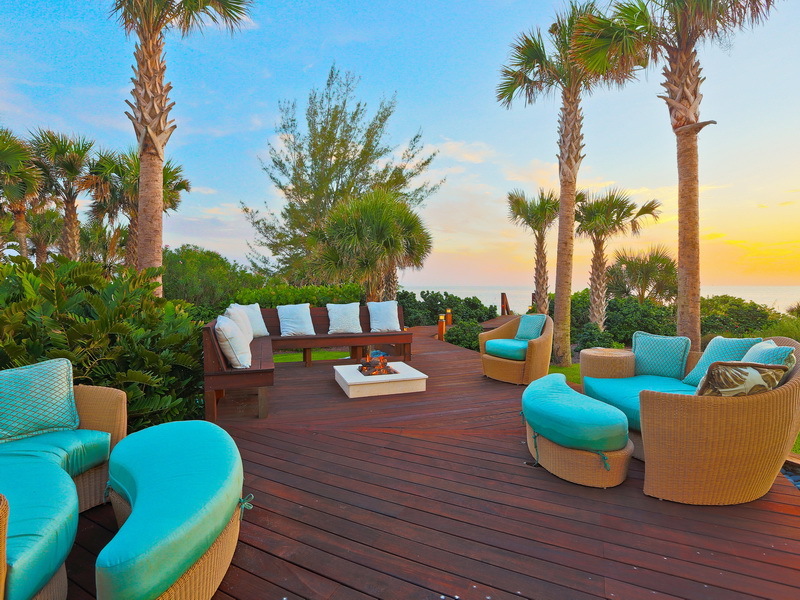 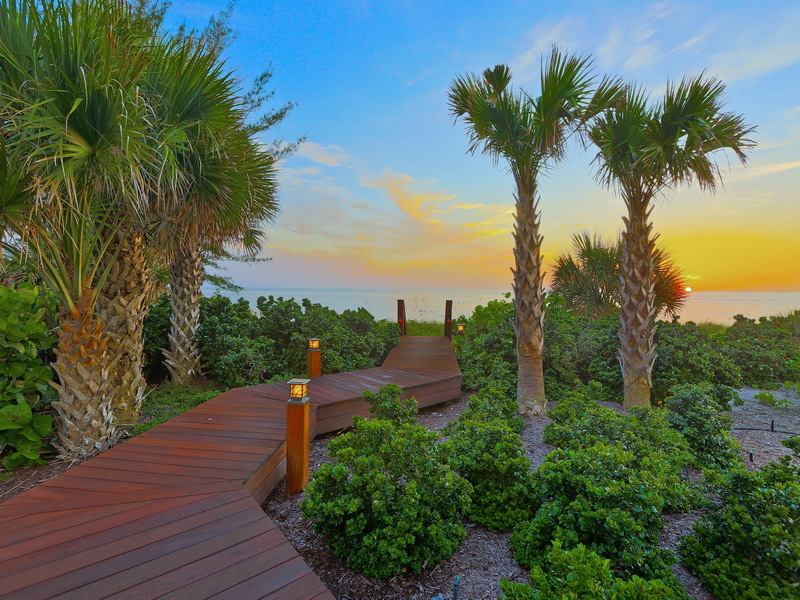 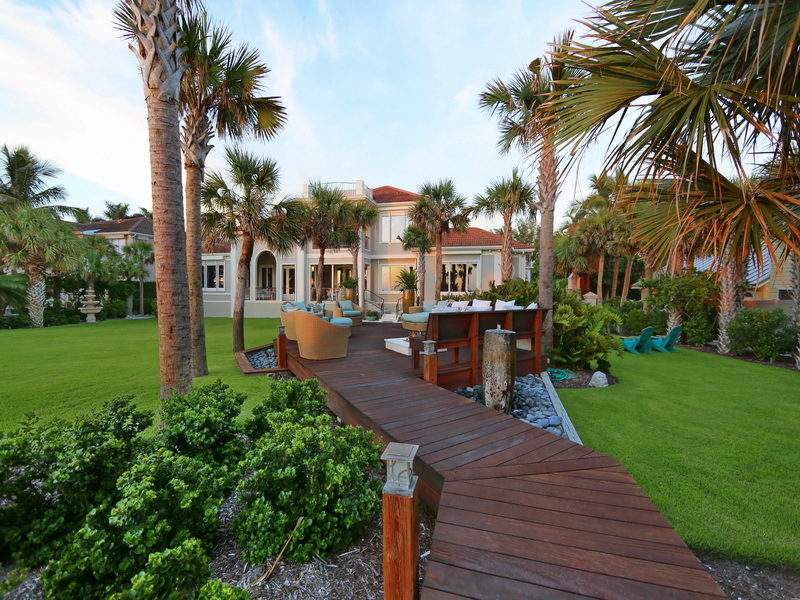 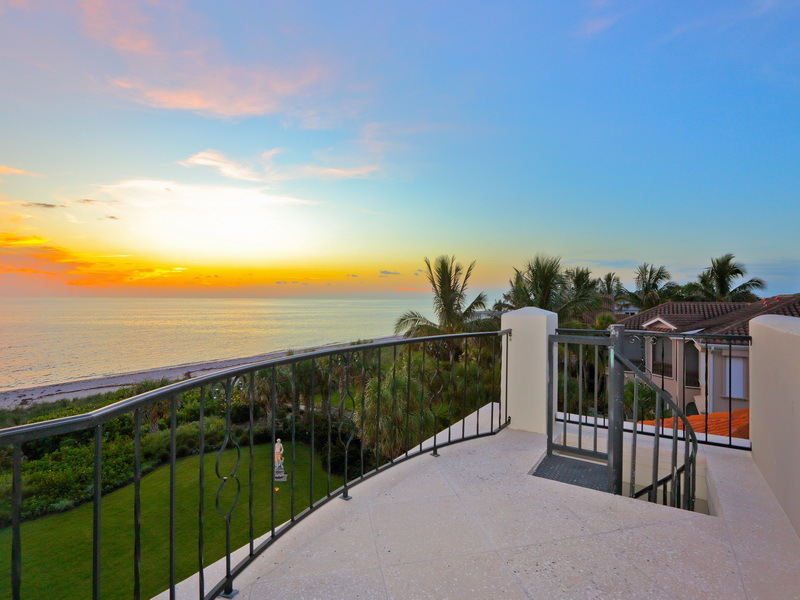 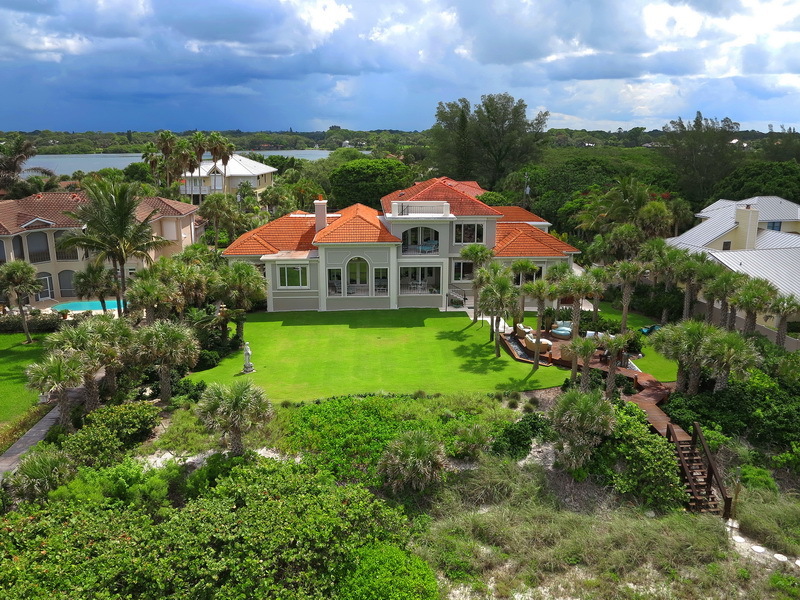 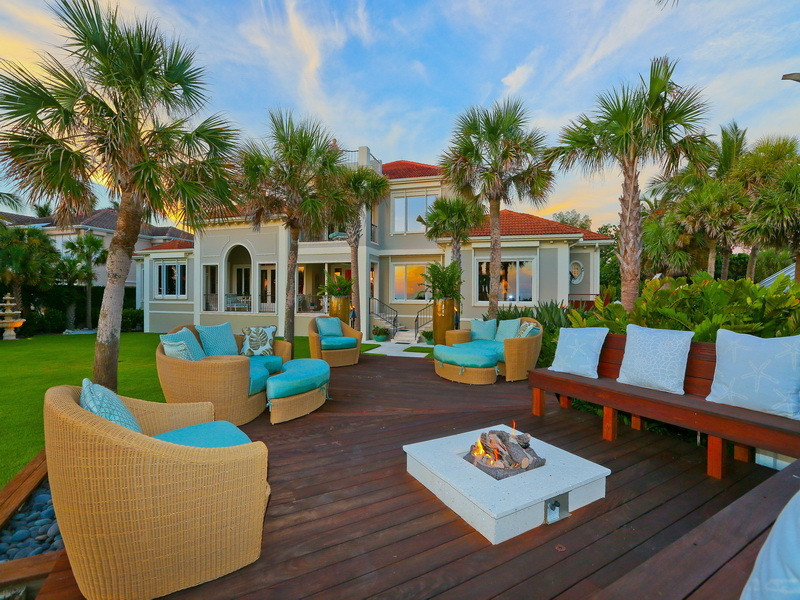 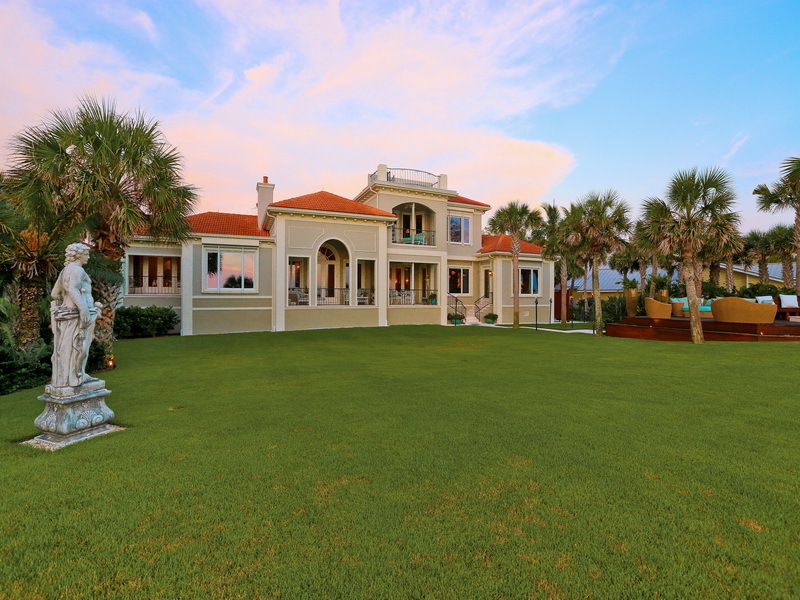 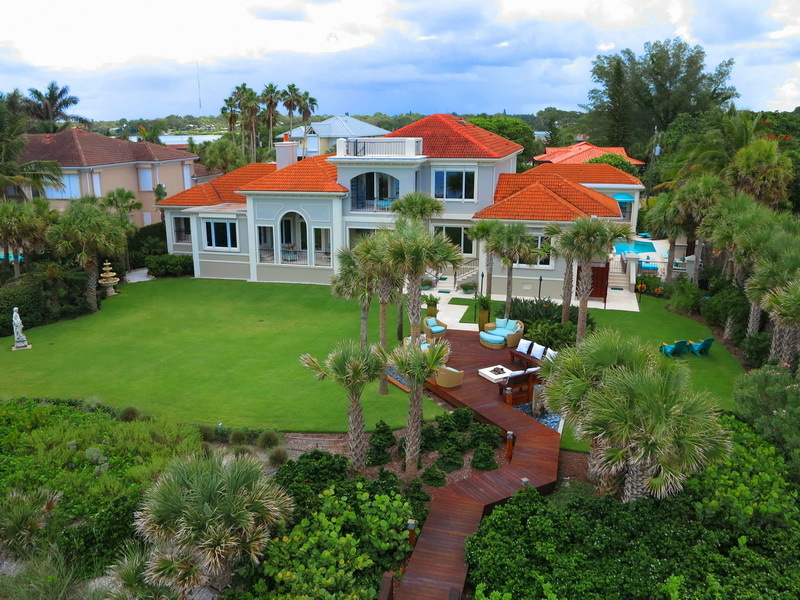 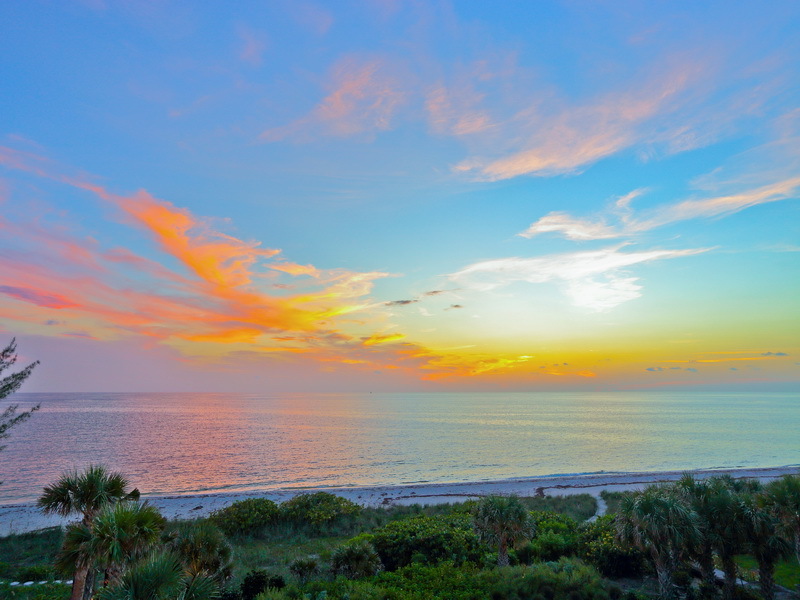 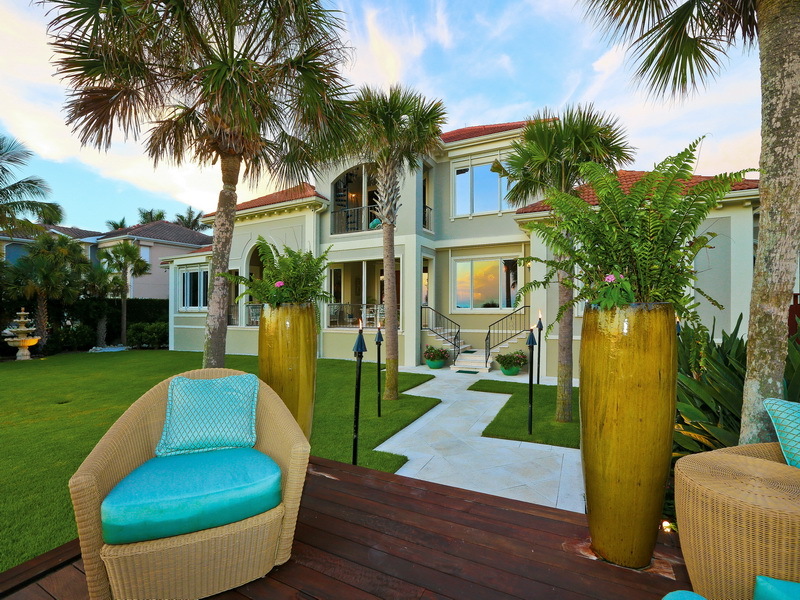 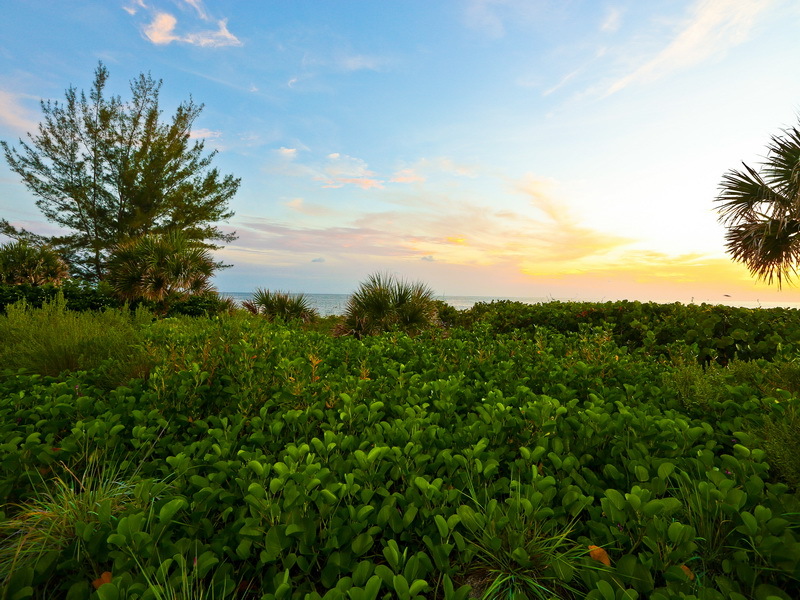 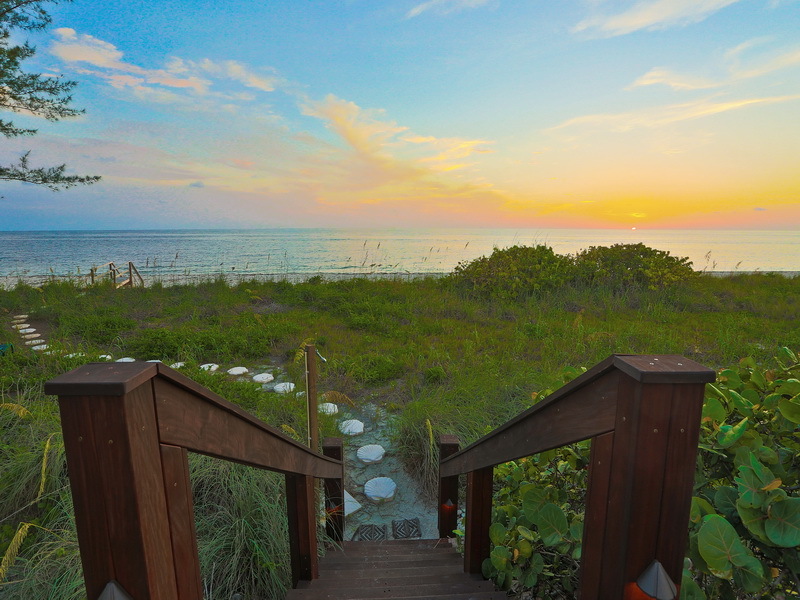 1143 Casey Key Road “Casa de las Olas” House of the Waves is one of the largest direct Gulf front gated estates (147’x 384’x 145’x 386′ over 1.29 Acres) on Casey key, Sarasota’s Premier Barrier Island. 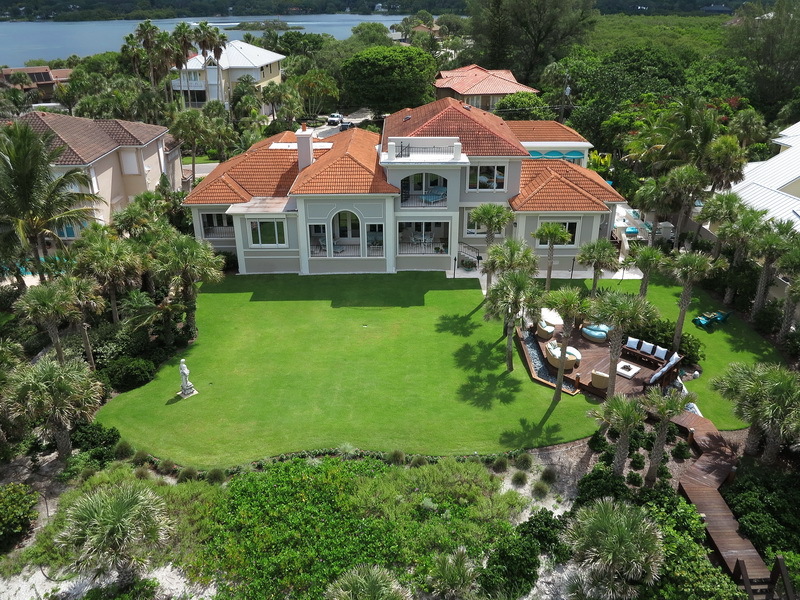 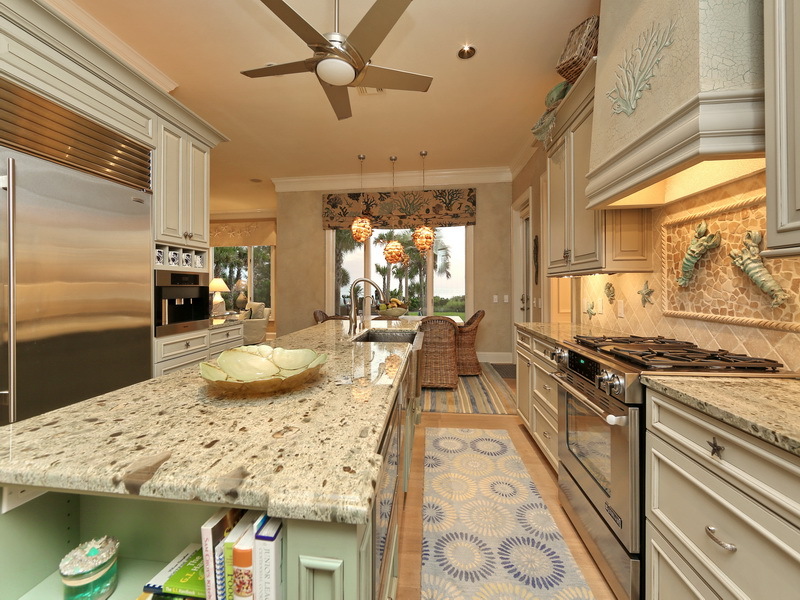 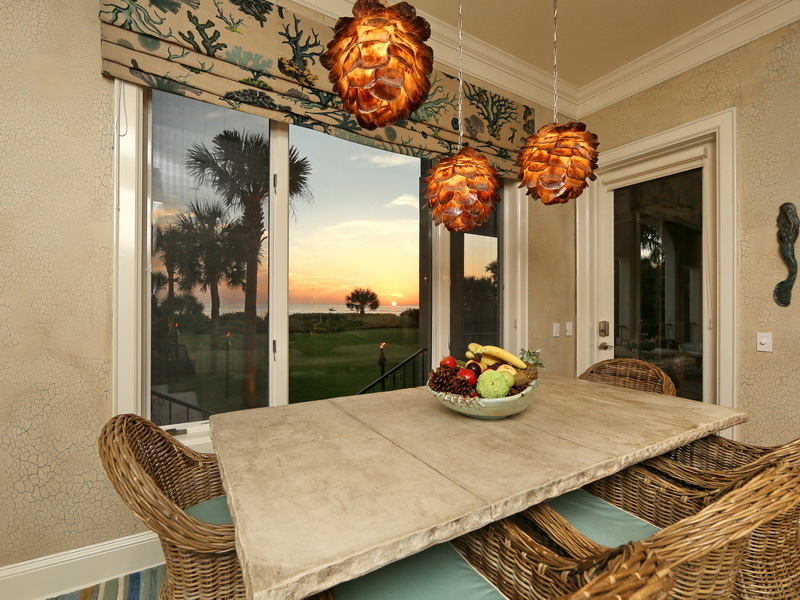 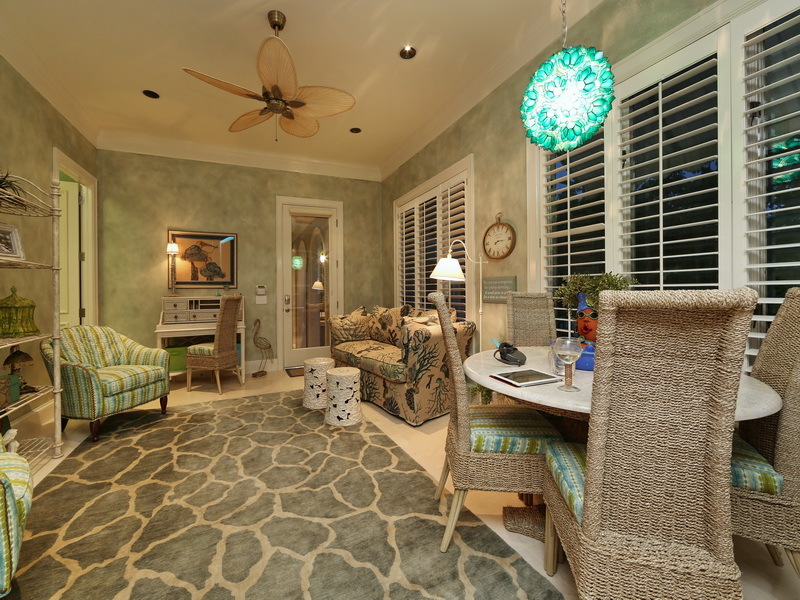 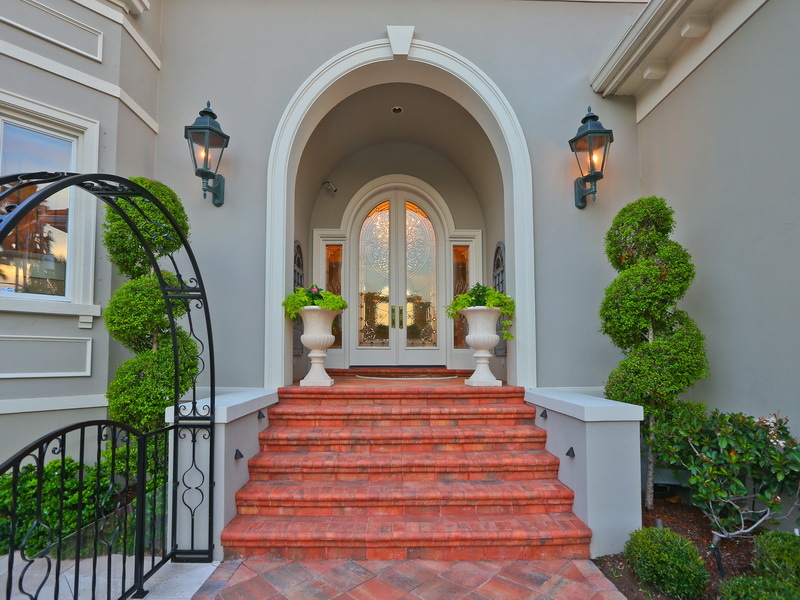 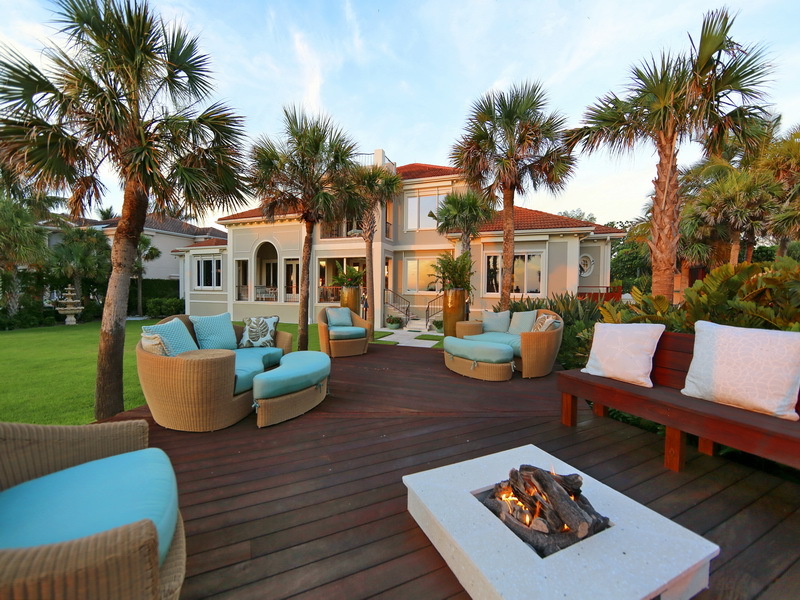 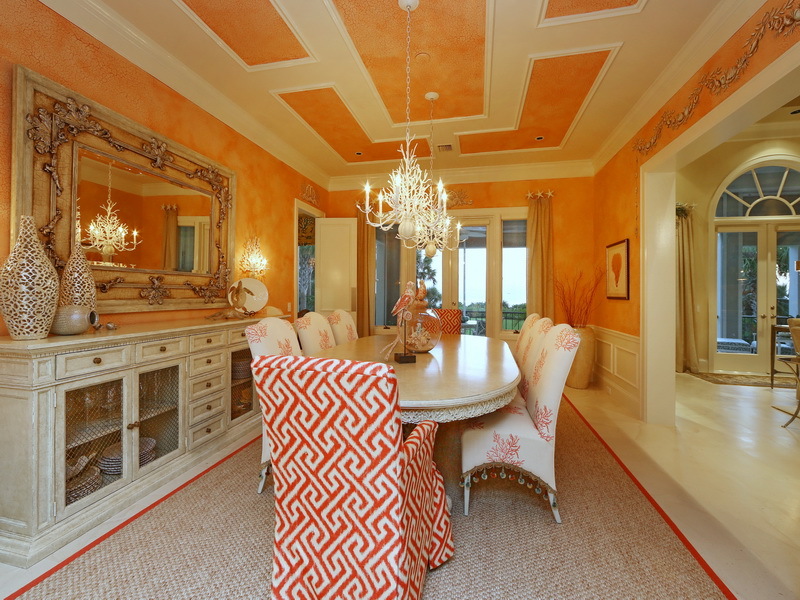 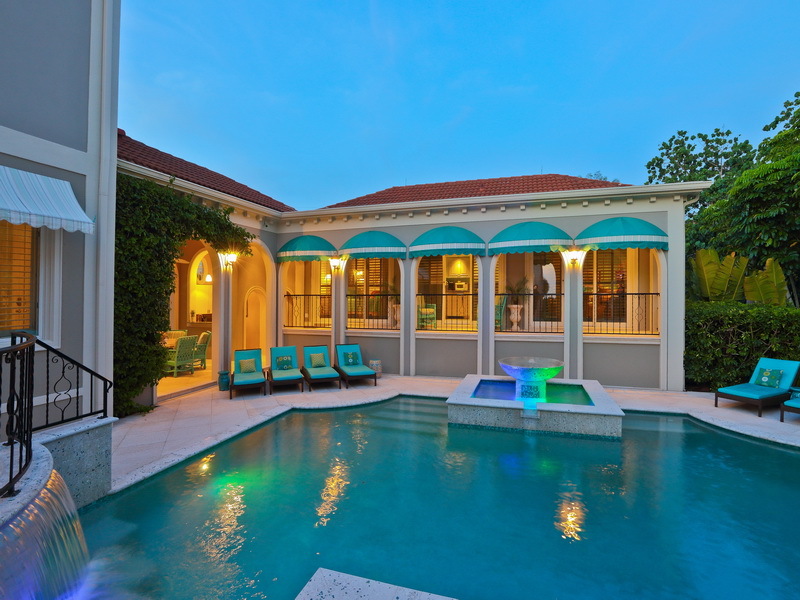 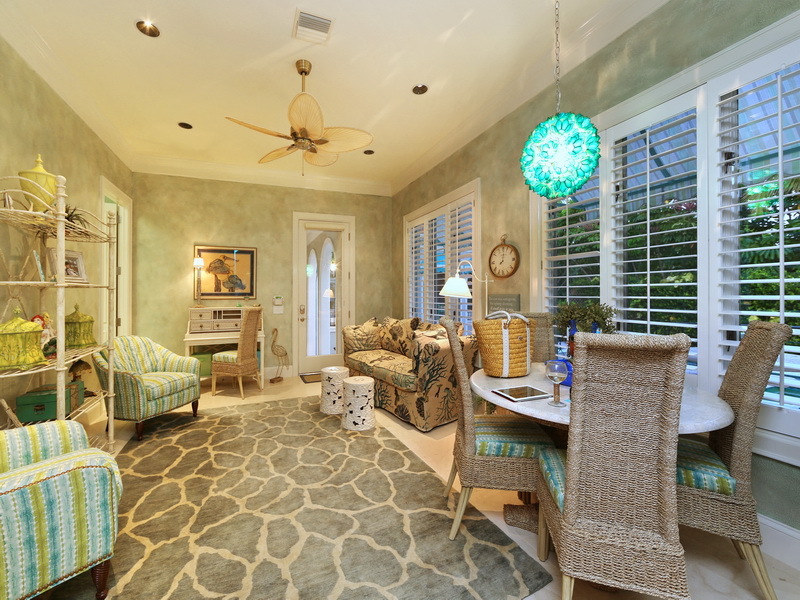 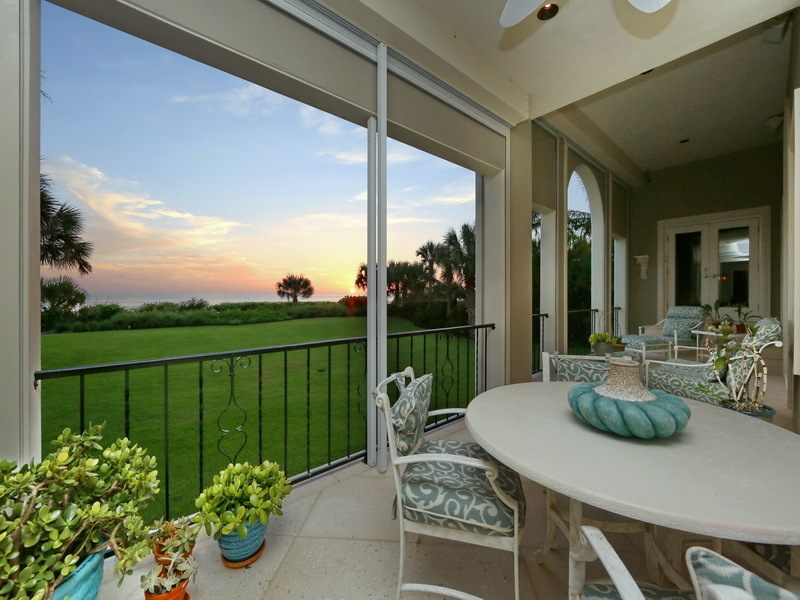 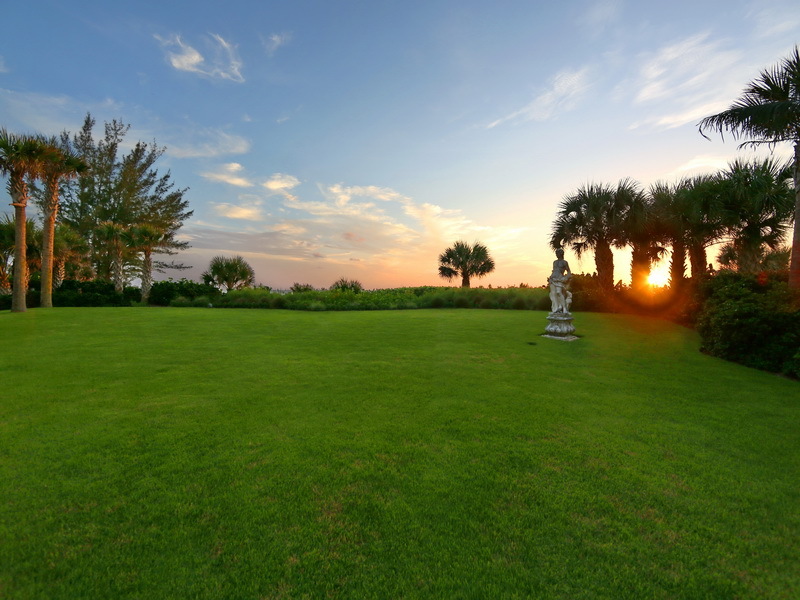 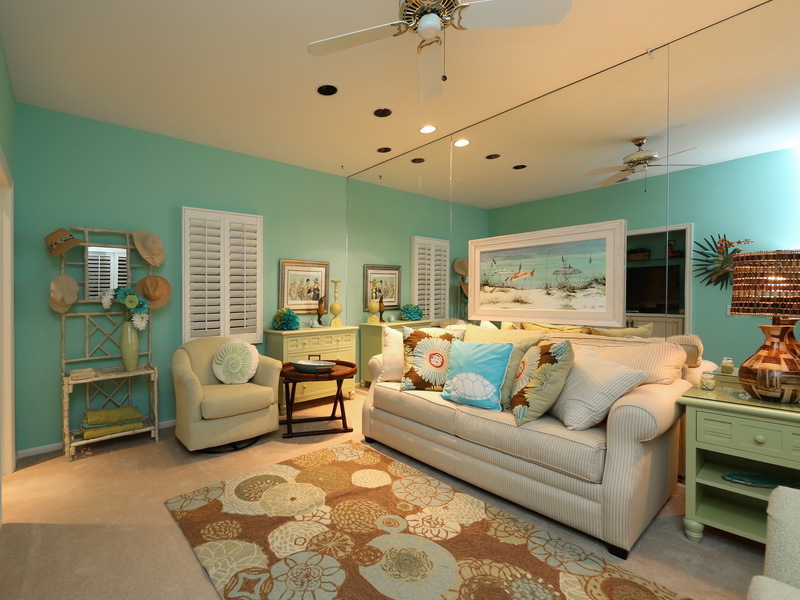 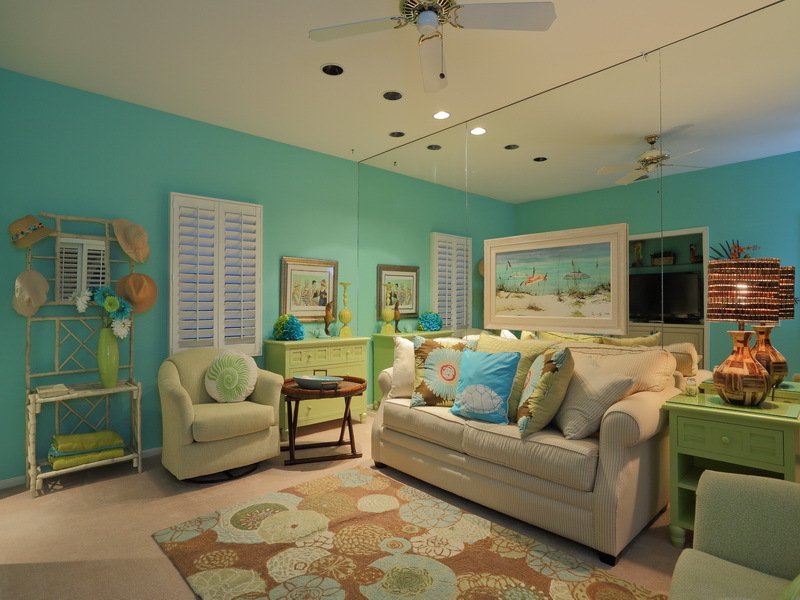 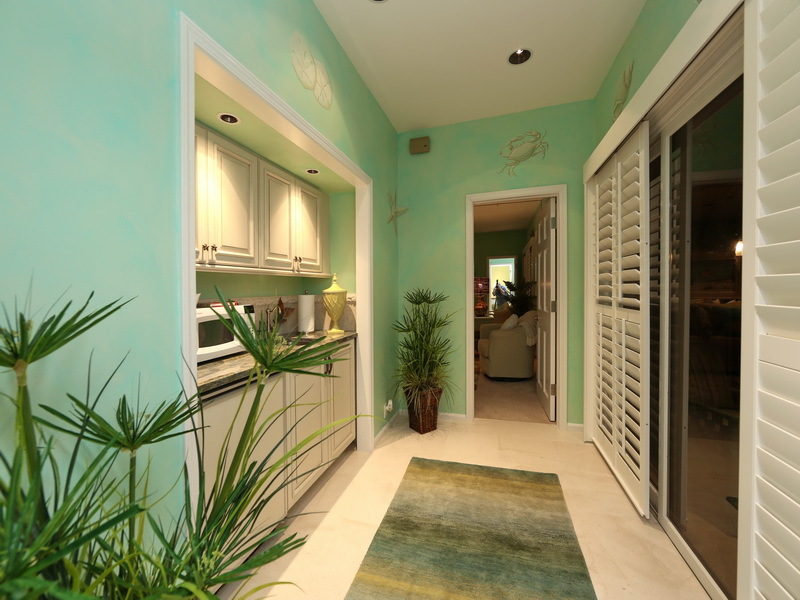 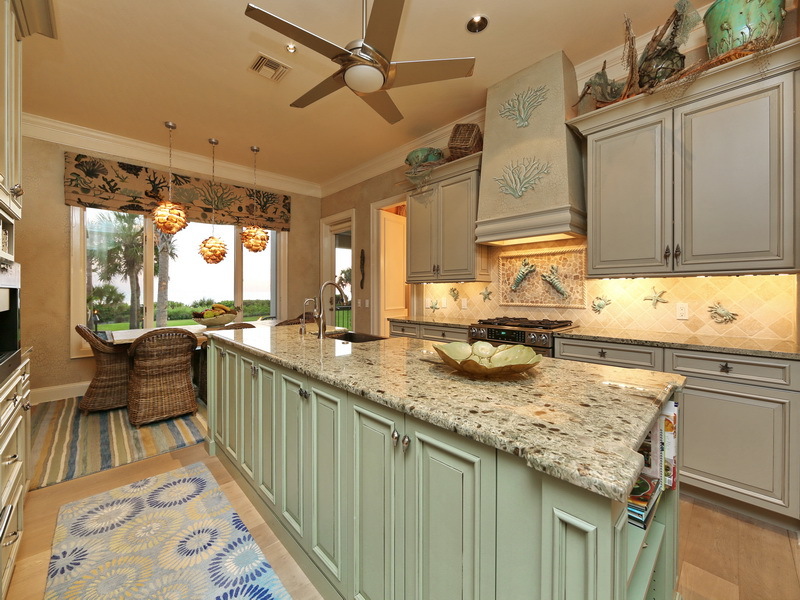 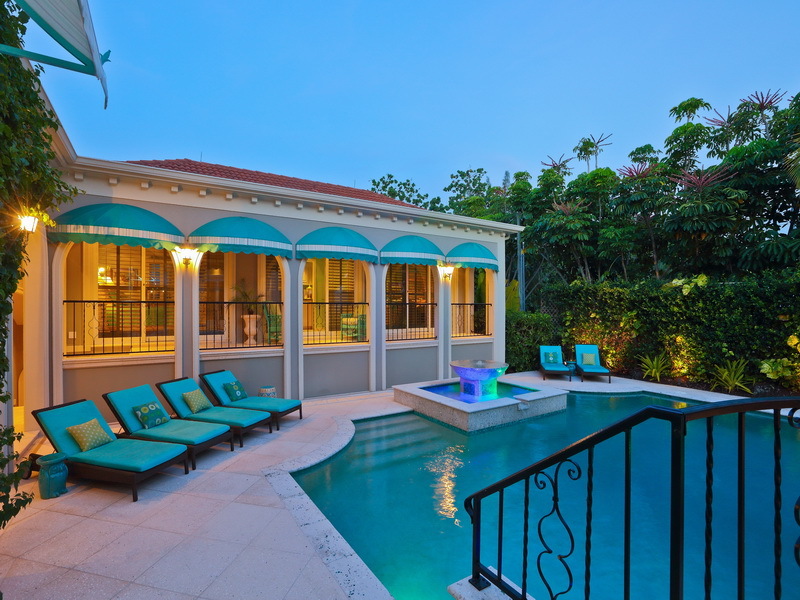 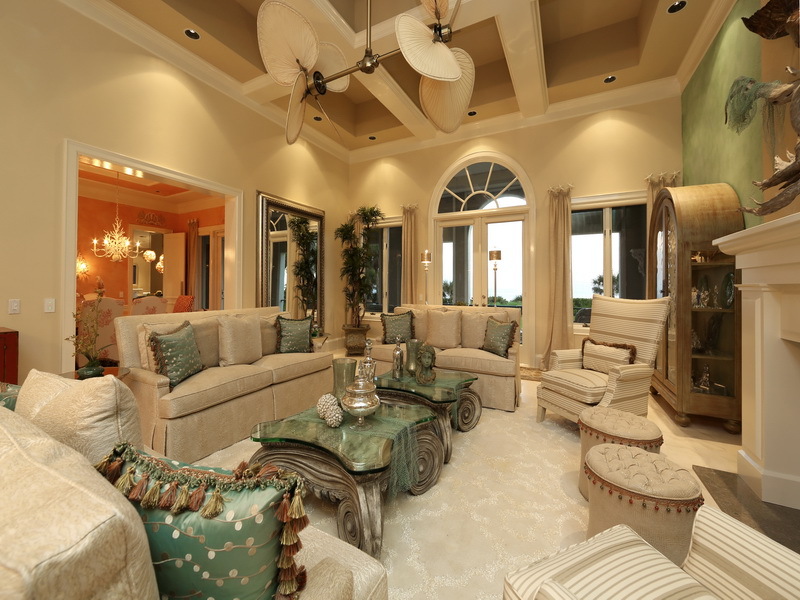 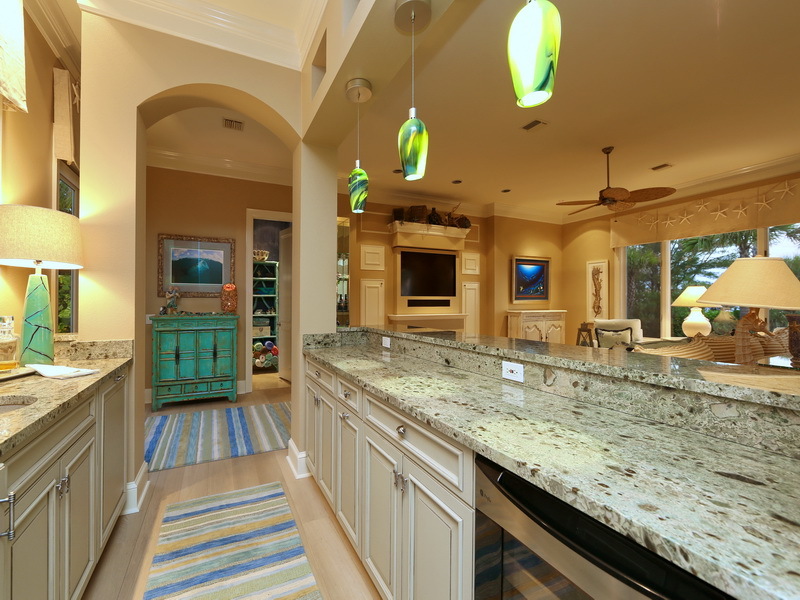 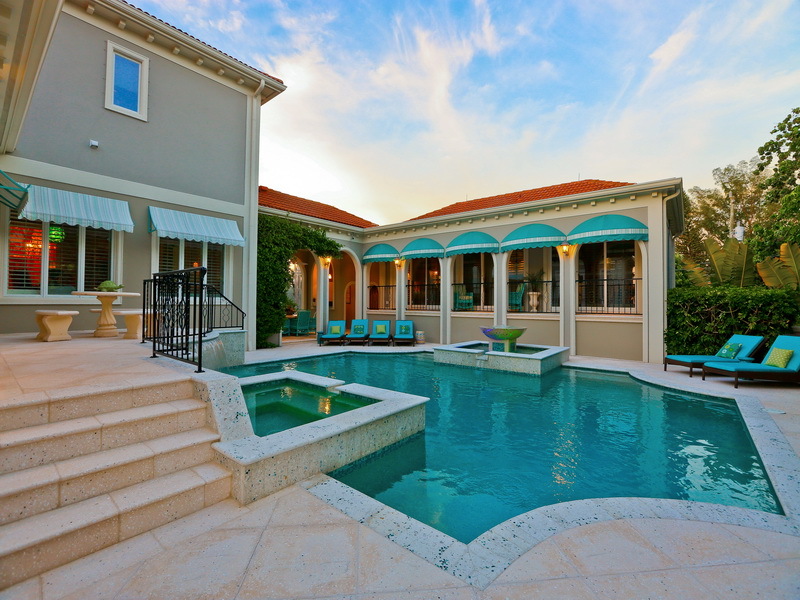 1143 Casey Key has over 8000 SQ/FT of living space with fine appointments throughout the main house and guest house. 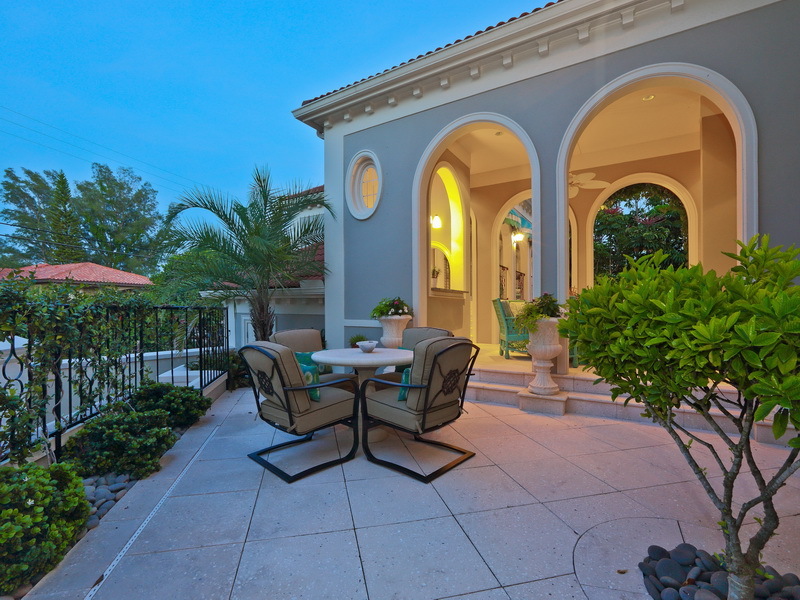 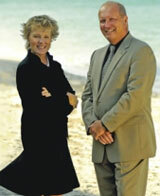 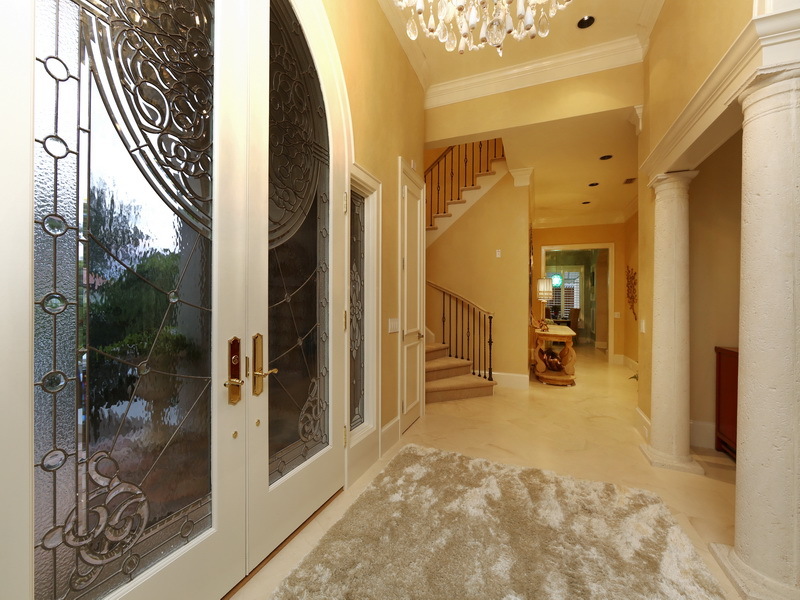 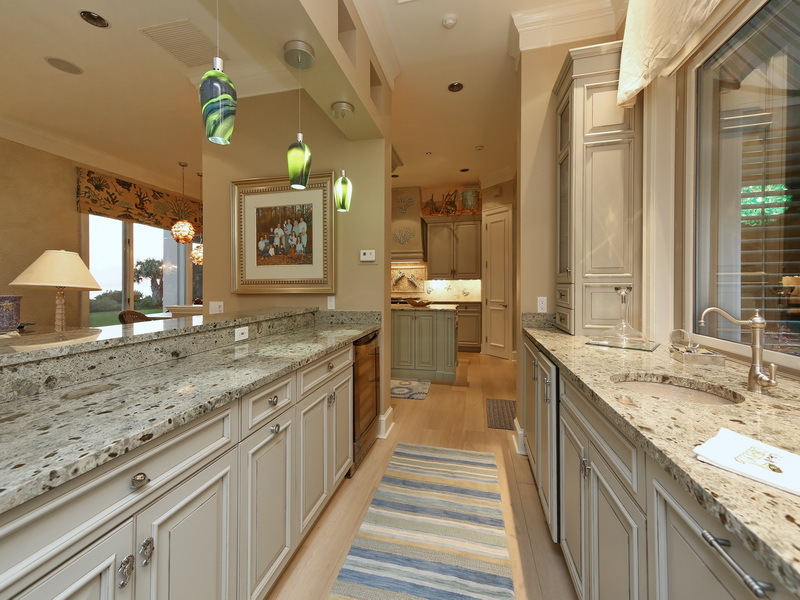 It was designed by architect Cliff Scholz and built by Perrone Construction and recently updated by current owner. 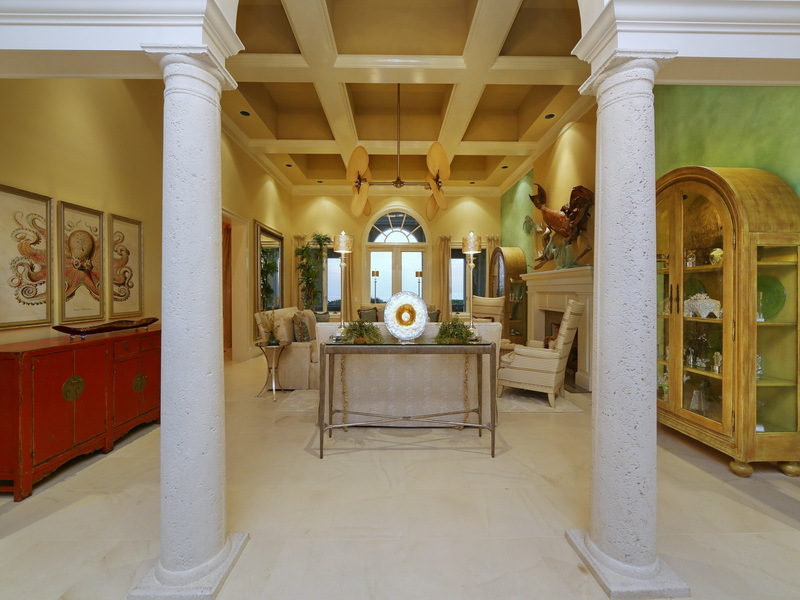 The main living area includes large formal living and dining rooms , a fabulous richly paneled library/office, an open kitchen and family room with breakfast area, a morning room, large laundry room, 3 bedrooms each with their own baths and 3 powder rooms. 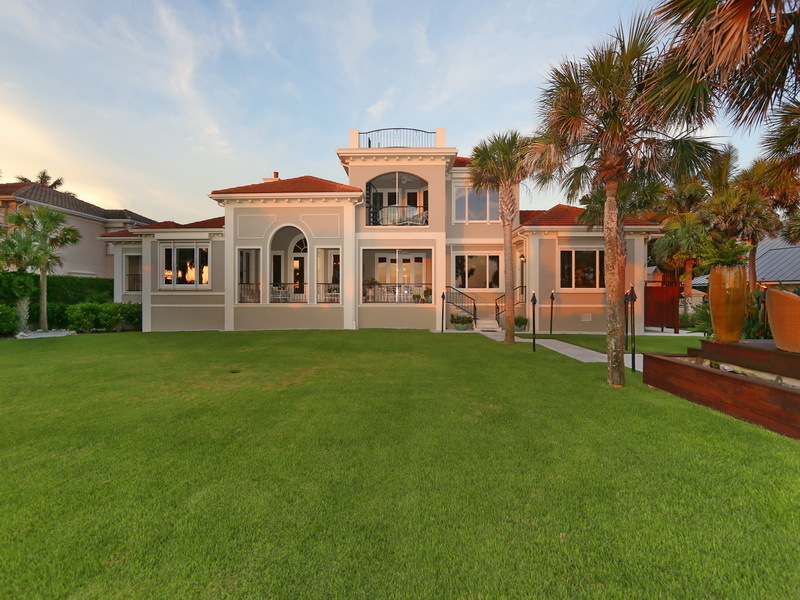 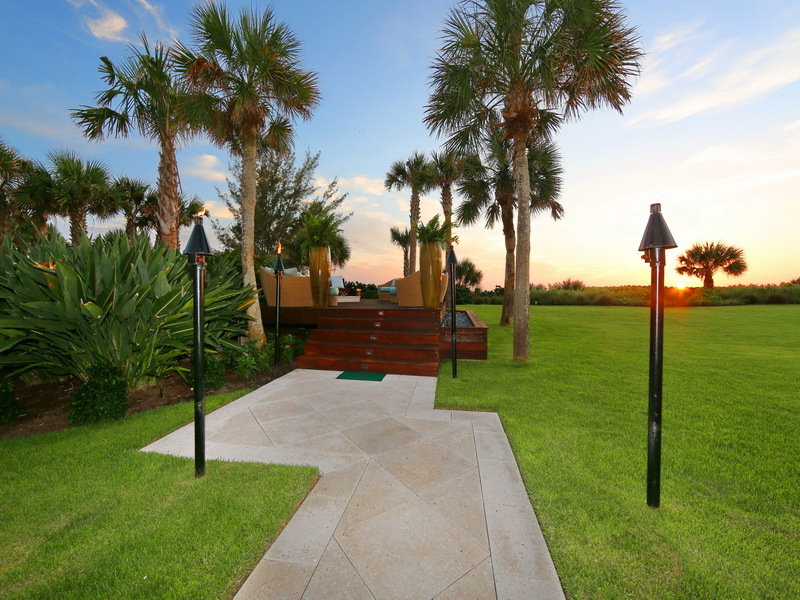 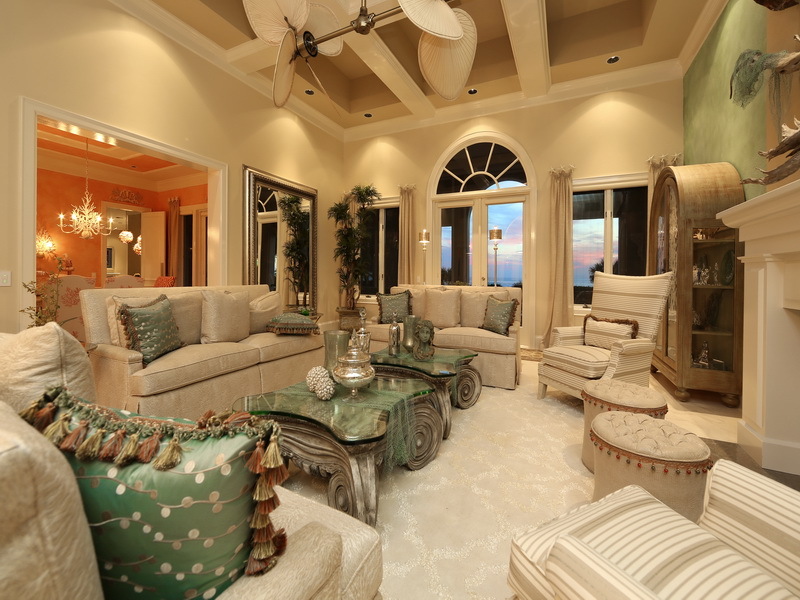 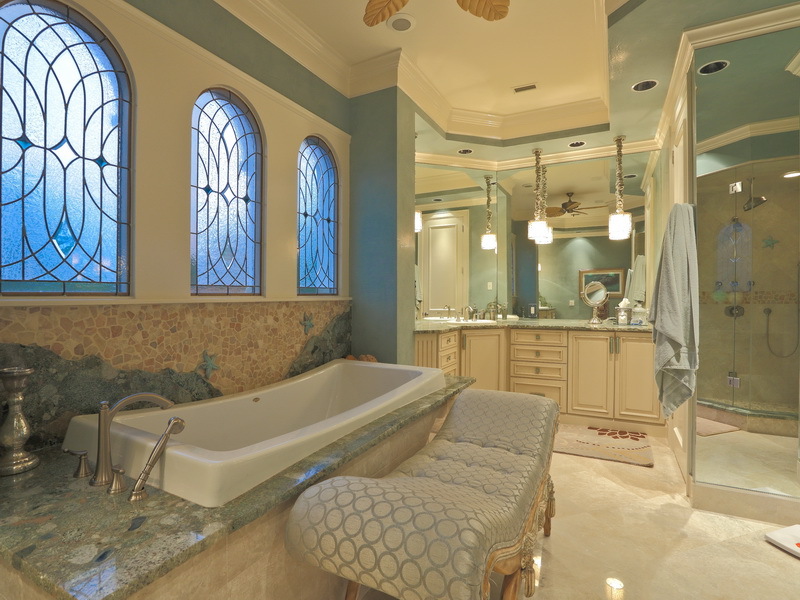 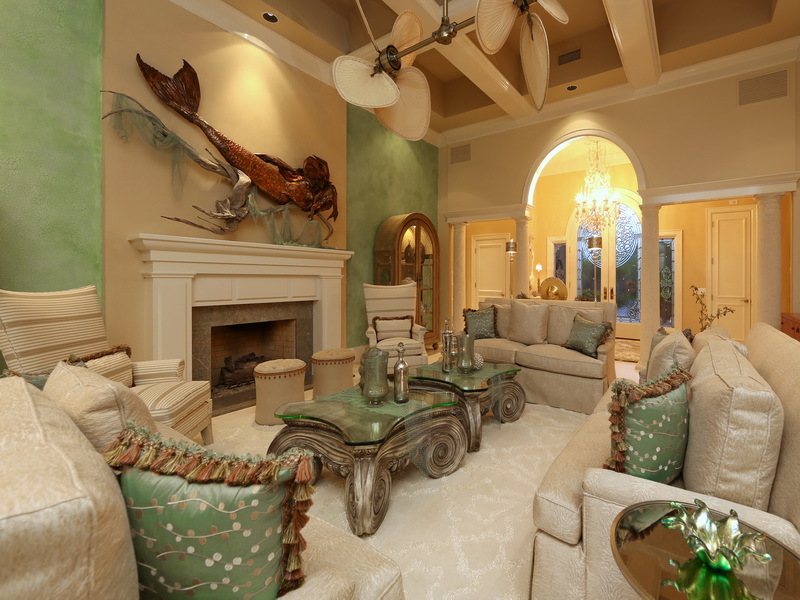 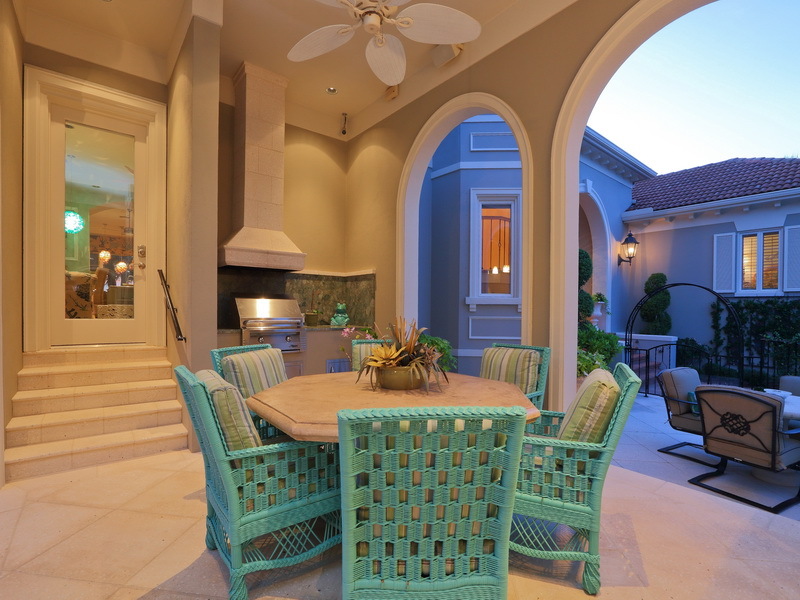 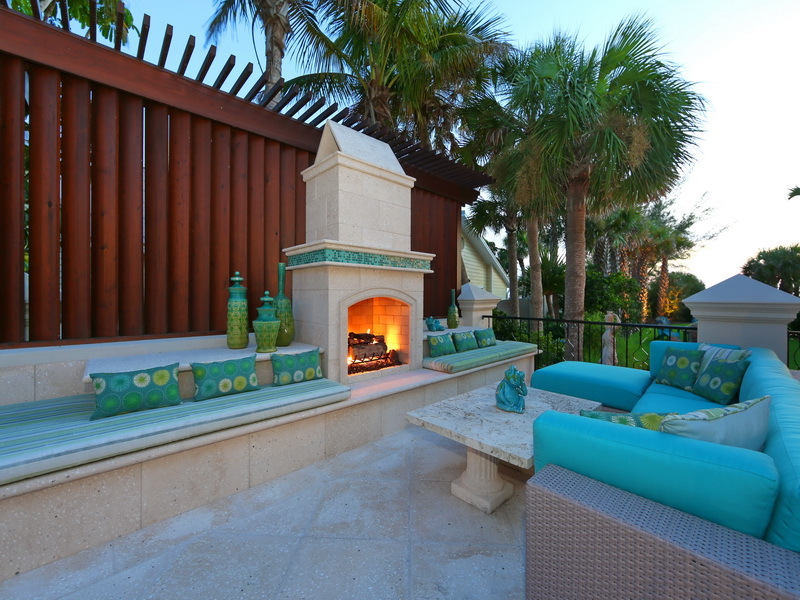 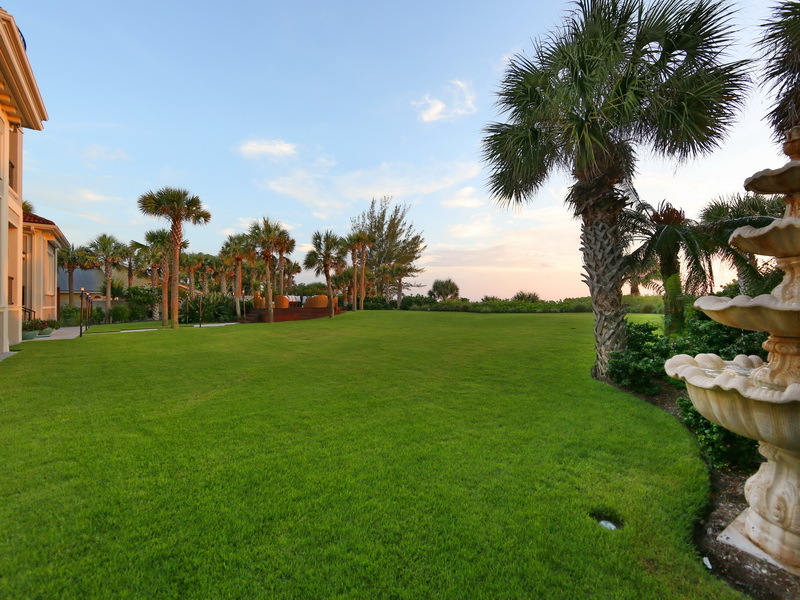 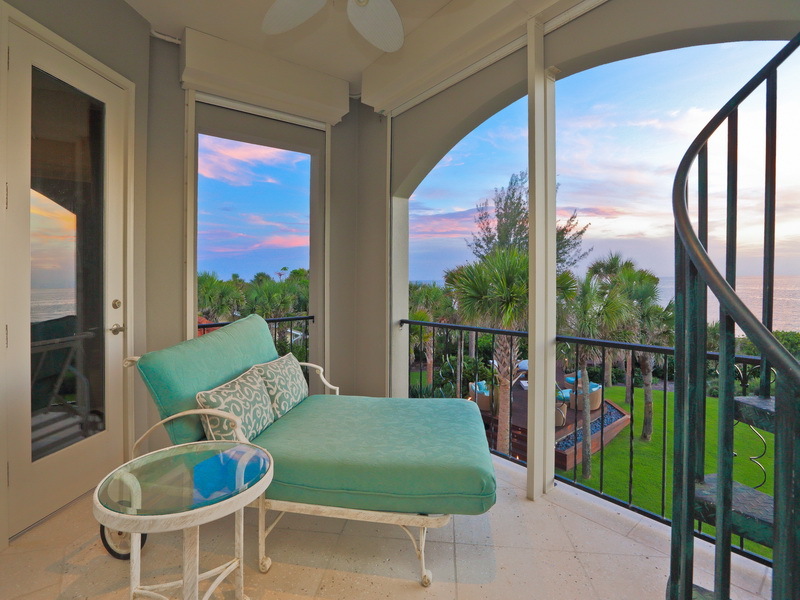 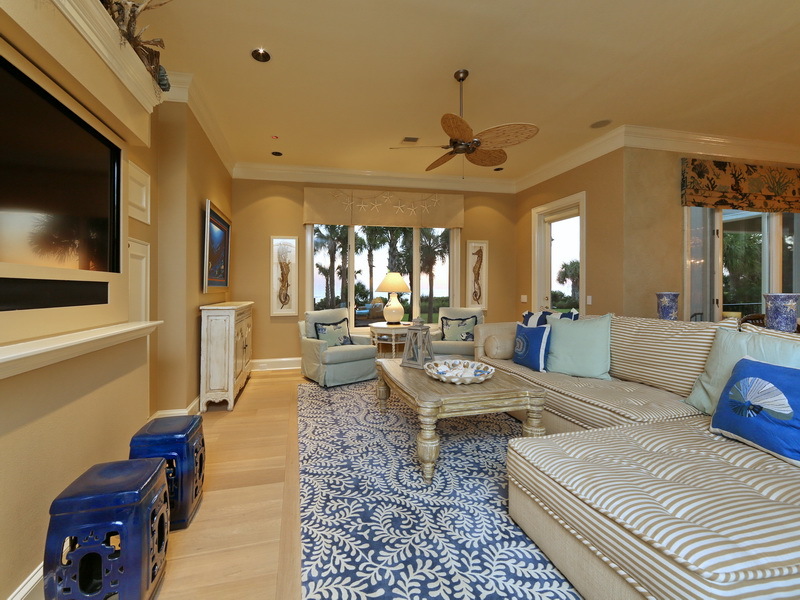 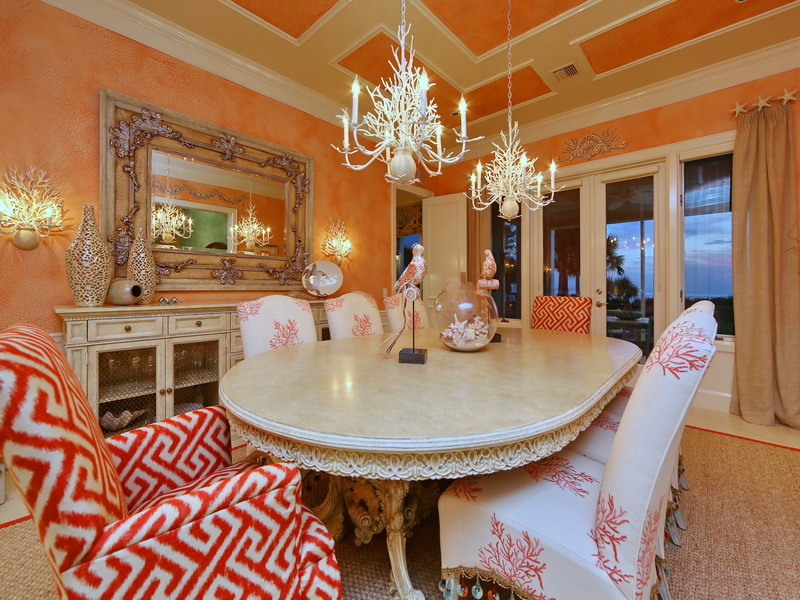 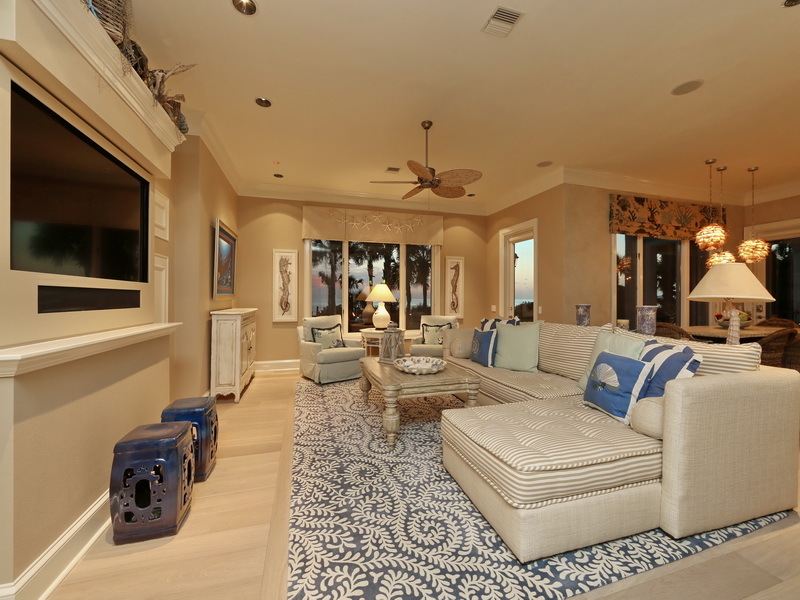 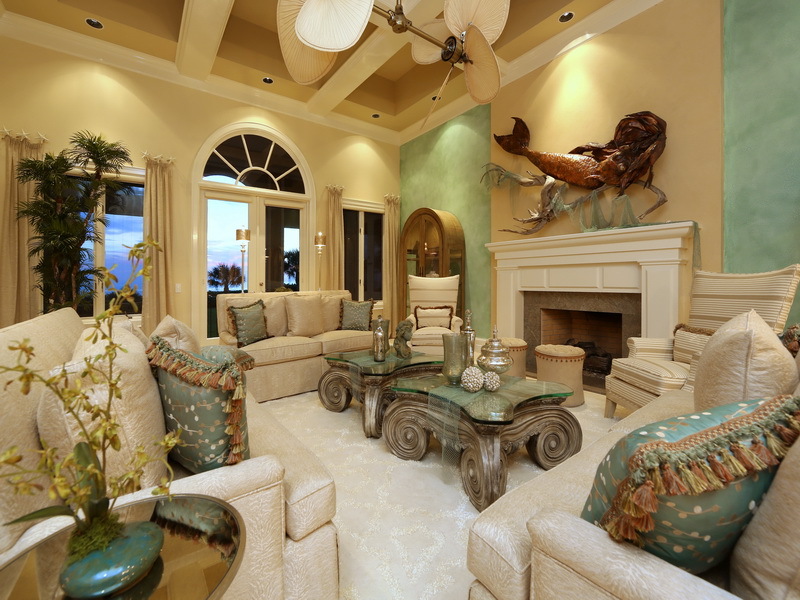 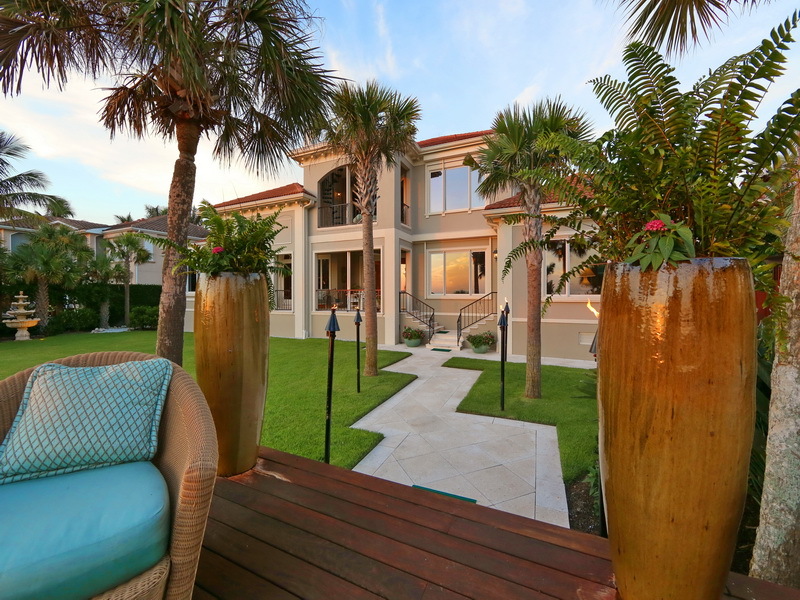 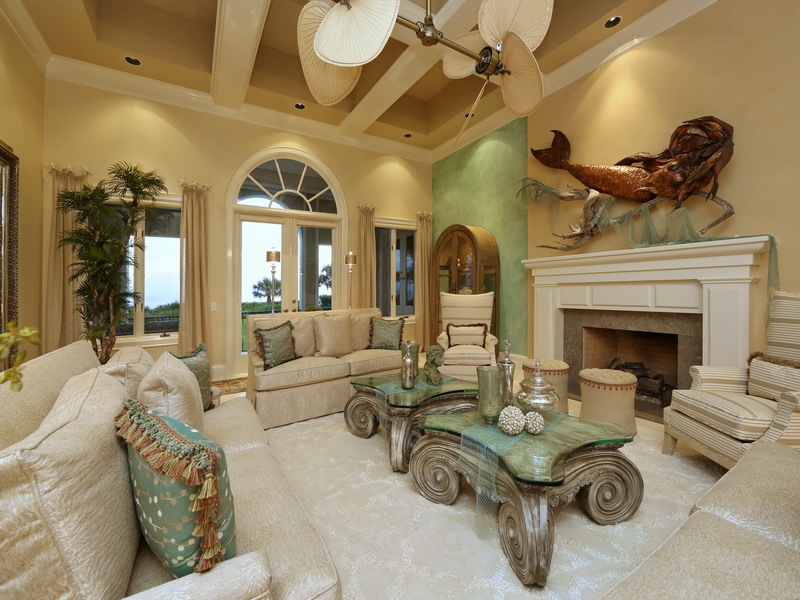 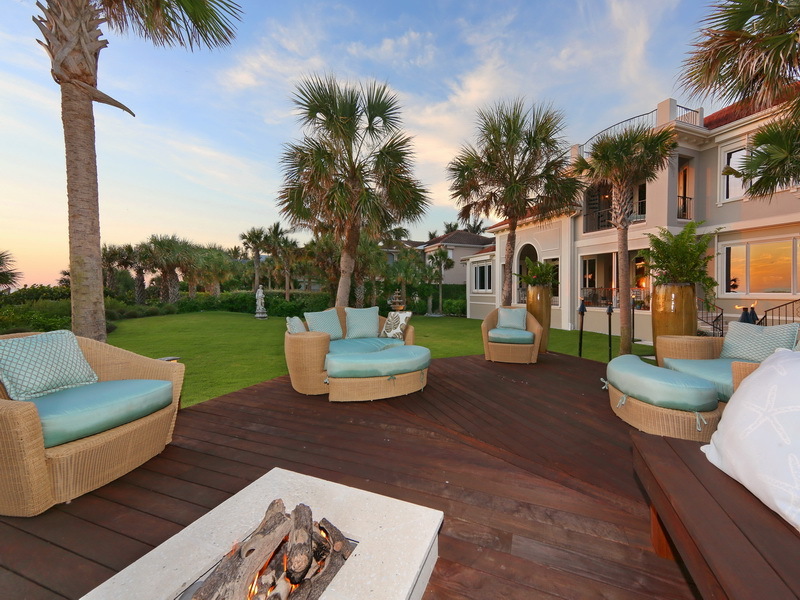 The upper level consists of the master suite, approximately 1,300 SQ/FT, and views that features a spectacular lawn, sitting area with fire pit, fountains and Gulf of Mexico views. 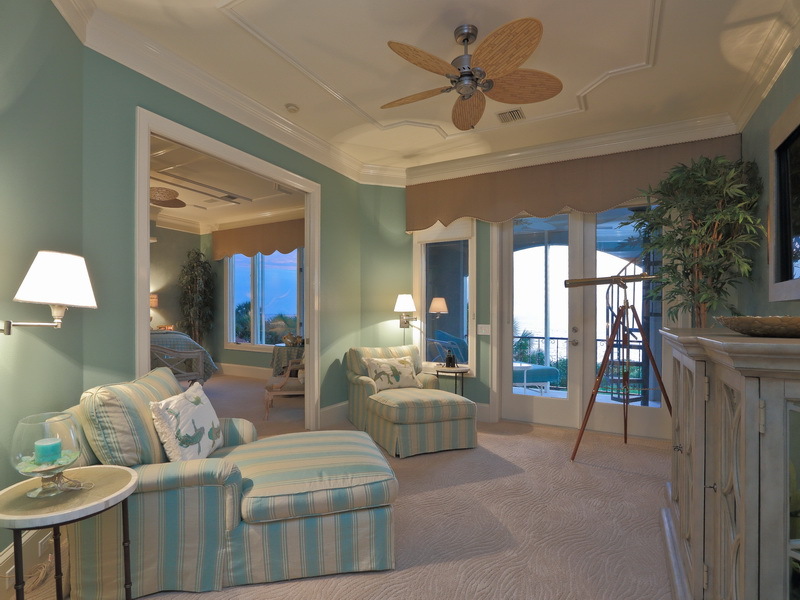 A grand bedroom has a sitting area overlooking a veranda with a spiral staircase leading to the crow’s nest. 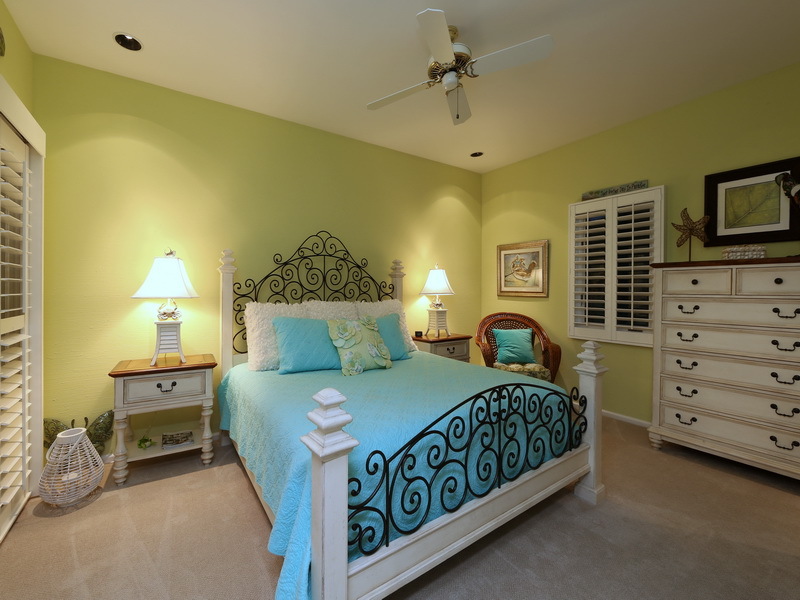 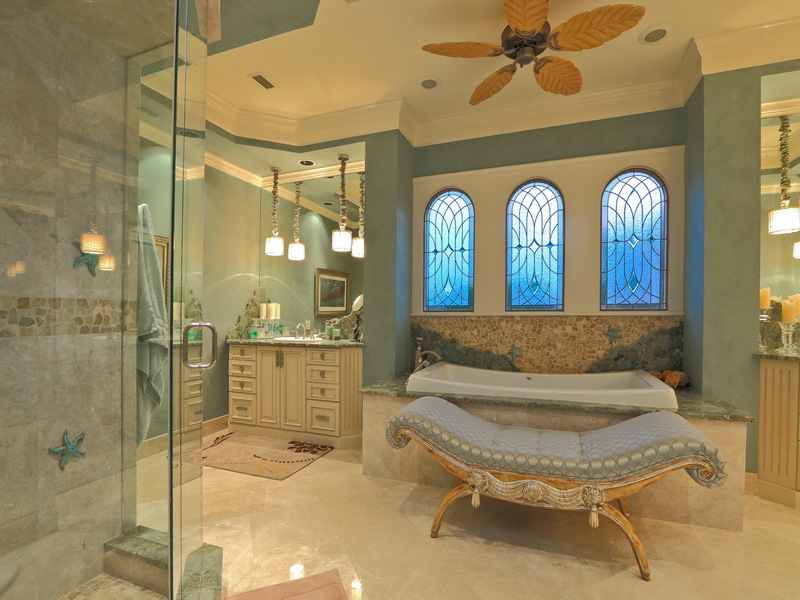 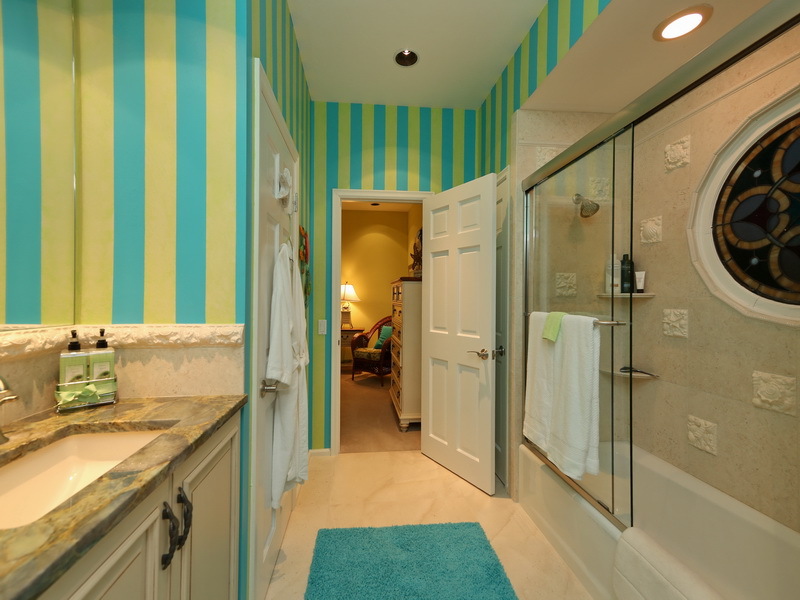 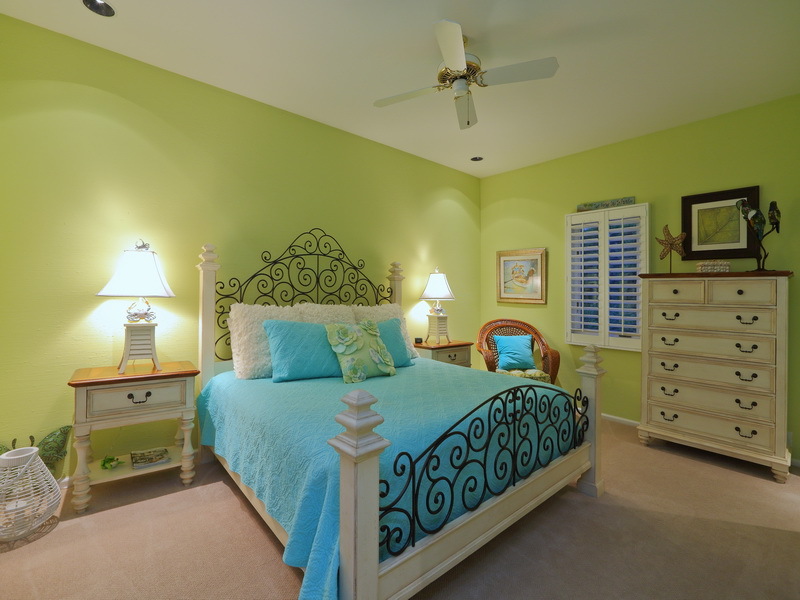 The beautifully appointed bath has a steam shower and Jacuzzi bath, separate laundry room and vanity areas. 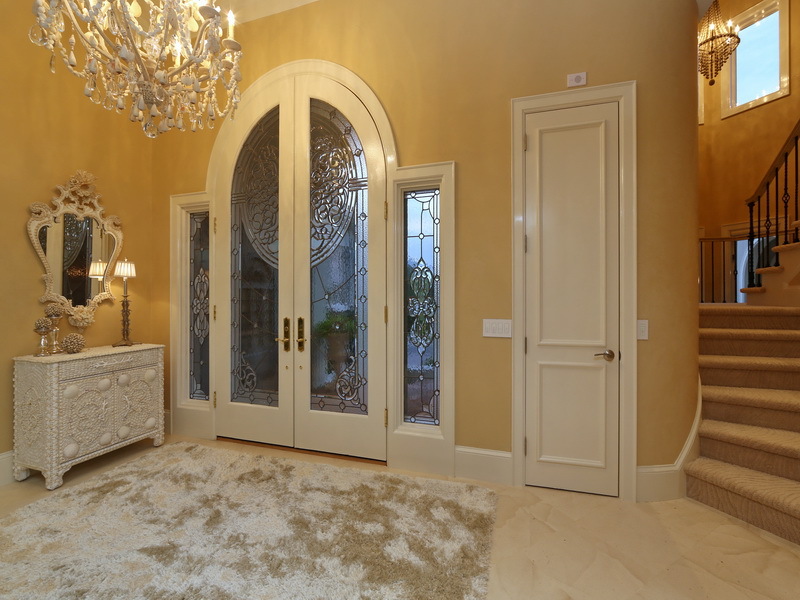 There are two large walk-in-closets to complete this master suite. 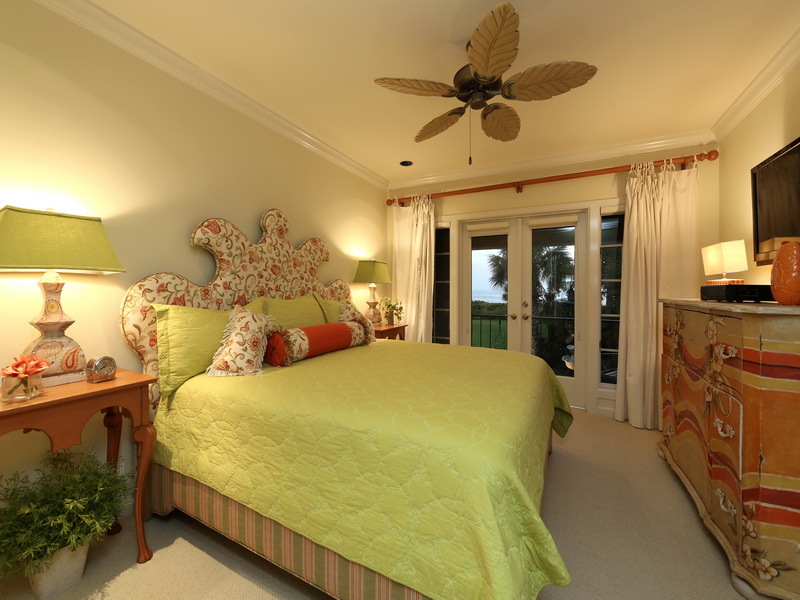 The separate guest house has a bedroom, living room, full bath & kitchenette overlooking the pool outdoor fireplace entertaining area. 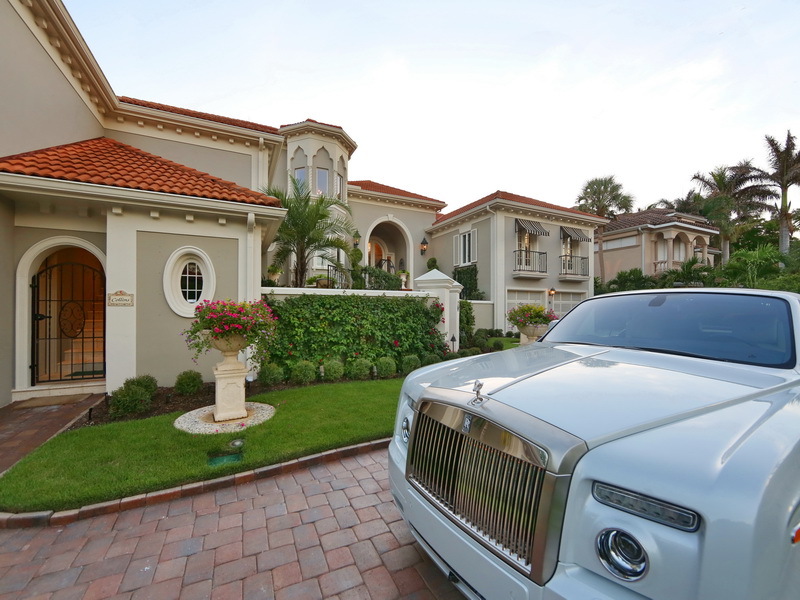 There is parking for four plus cars in the two garages plus workshop area and a circular paver gated drive. 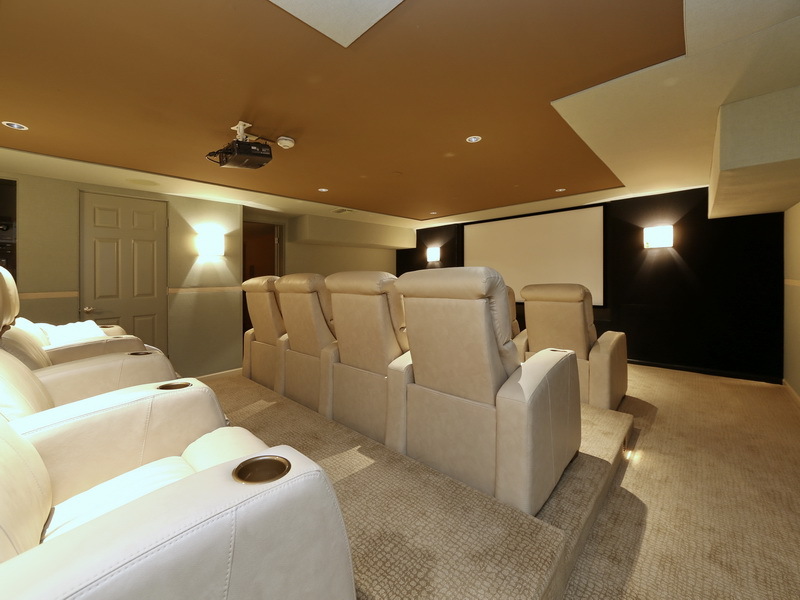 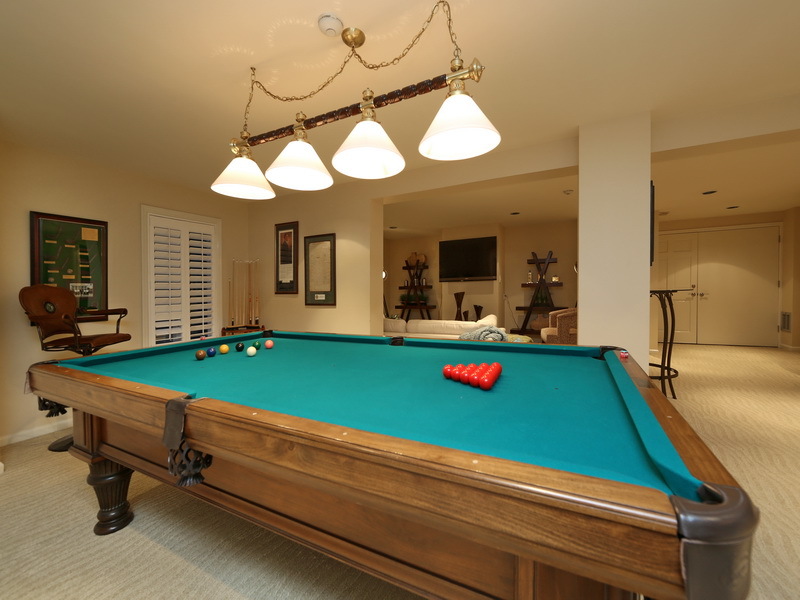 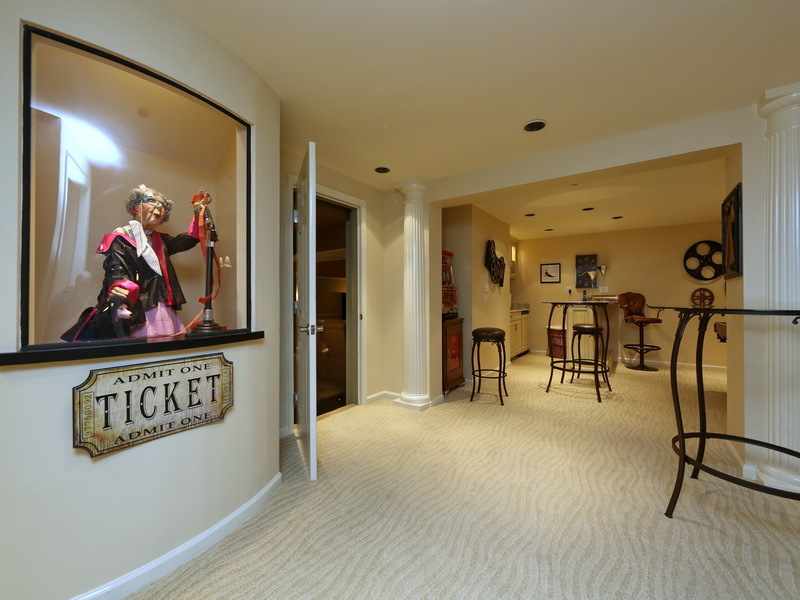 Other features include several covered terraces, an elevator, and game room, home theater with twelve recliners, arcade and large wine cellar. 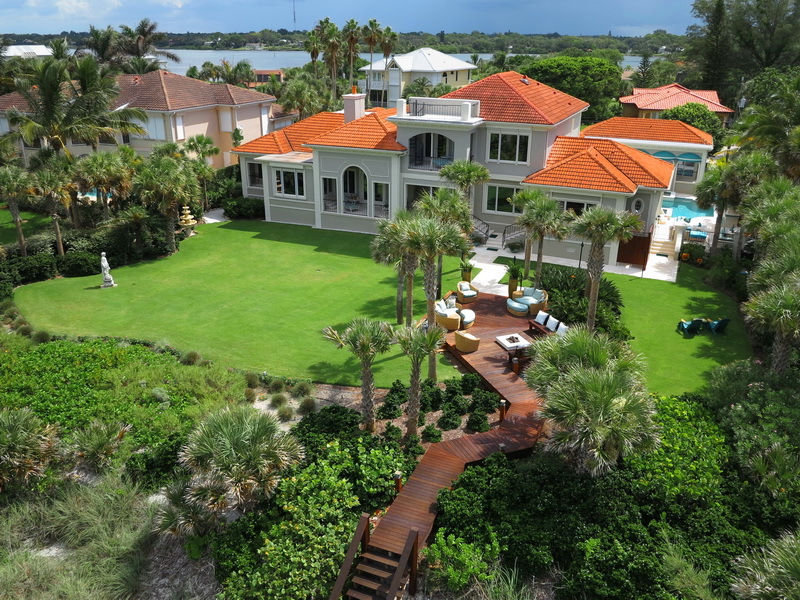 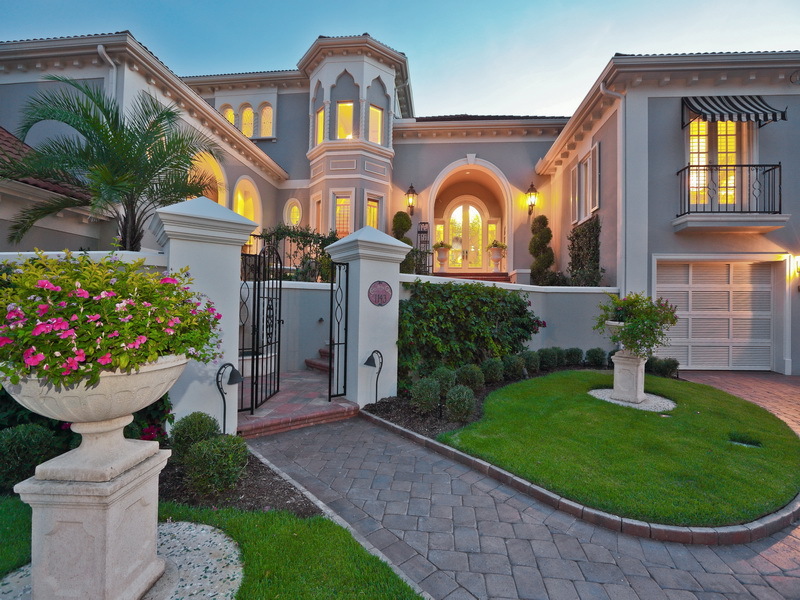 Estate offered turnkey furnished for $10,000,000.